Blueberries! - luscious, delectable and delightful. 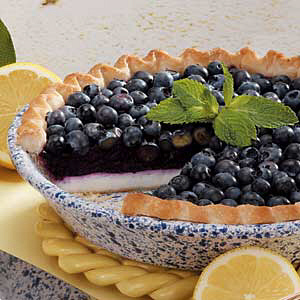 The fresh smell of blueberry pie is a sweet savour. In North America, the most common cultivated species is V. corymbosum, the Northern Highbush Blueberry. Blueberry season starts in May, peaks in July and ends in October. Maine produces 25% of all blueberries in North America, making it the largest producer in the world. Maine's blueberry harvest requires 50,000 beehives for pollination. Blueberries, especially wild species, contain antioxidants which have been found to reduce the risks of some cancers. Blueberries are also rich in manganese and vitamin K.
Every colour of the blueberry is represented in these 100% wool stockings. Fresh blueberries are an excellent source of fibre. 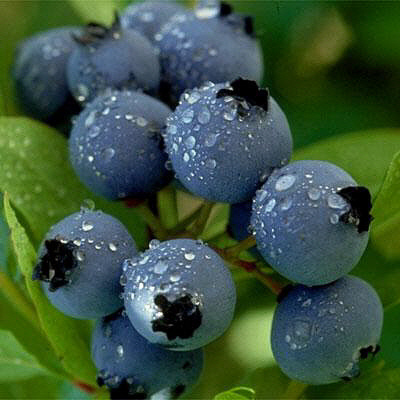 140 grammes of blueberries contain 3 grames of fibre. Blueberries have a very low glucose load per serving. Thus, they are an ideal food for those with diabetes. 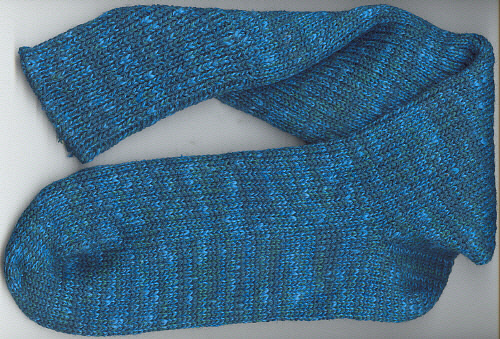 Oldtymestockings Blueberry Stockings are knit in 100% wool. The delicate, green leaves; soft blues of the nascent berries and rich, sapphire blues of the mature berries are interlocked in a luxurious palette of colour. Oldtymestockings Blueberry Socks are available in all sizes. Ankle, mid-calf and knee length socks are available. Savour a pair of Oldtymestockings Blueberry Socks today!